In my classes, students don’t usually have to do any writing. So they normally don’t bring pencils with them to class. I’d like to say they don’t do writing because I’ve found it to be an ineffective learning method, etc. But the truth is, I’ve found that if they write stuff, I then have to read it, which I normally don’t want to do. However, today I surprised the 5th graders with a little writing assignment, and I also supplied them with pencils from my well-stocked pencil box. 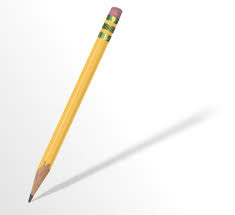 This eraser doesn’t work… this pencil is broken… can I get a different pencil… how come she got the red one… do you have any more red ones… I didn’t bring a pencil (HE SAID HE’D LOAN US PENCILS, WHAT’S WRONG WITH YOU?? )… eww, someone chewed on this one… are we supposed to be writing this down? Of course, I was finally able to quell the pencil uprising with the following Solomon-like wisdom… STOP TALKING TO ME ABOUT PENCILS!! I think it may be time to go back to my “no writing in music class” policy.